Dttrol? Yes, the spelling is correct. 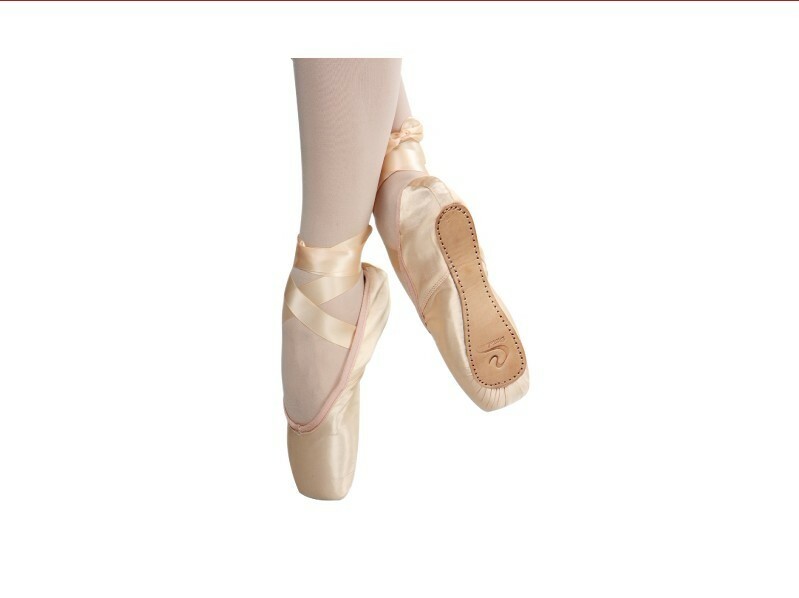 Although the name of this brand may take some guessing to pronounce, the pointe shoe models themselves are easy enough; there are only two versions at the time of this post; the Deluxe Satin and the Canvas Practice model. Dttrol has been on my backlog of shoe brands to post about, so I will share what I have discovered about this particular brand and company. The Dttrol name-brand products are manufactured by a company called Baili Shoes Co., L.t.d.. This is another one of those established manufacturers that have been doing business from the country of China for over 12 years now. According to their company about page, the letters DTTROL stand for Dance To The Rhythm Of Life. Now the unique name makes much more sense! The Dttrol brand/Baili Shoes Co. offices are located in Nanjing, China. This is a very interesting company with many layers of products, brand names and categories. Searching online, I discovered two models manufactured by Dttrol. The canvas practice shoe is available on their official website, Dtrrol.com. The site is English-friendly, although it needs a bit of help with proper wording here and there. Any fitting or construction specifications about this model are too generic for me to offer much information about them. 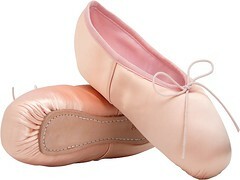 The Satin Deluxe shoe is nowhere to be found on the Dttrol website, which was disappointing. Why Doesn’t Dttrol Sell The Deluxe Satin Model On Their Official Website? I don’t really know. 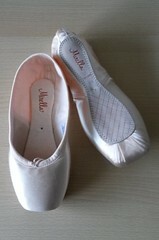 There are many pointe shoe manufacturers that do this. Most likely, selling different models on different websites is a marketing choice. Maybe they are in the process of updating their products list. 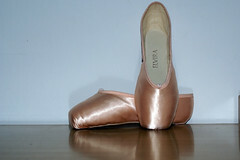 The Dttrol Satin Deluxe pointe shoe is available on Bailidance.en.alibaba.com. 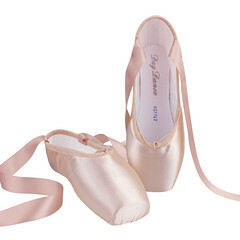 Are Dttrol Pointe Shoes The World’s Cheapest Models? When I use the word cheap, I simply mean inexpensive, not poor quality. 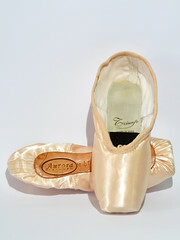 Compared to the vast numbers of brands I have blogged about, Dttrol is one of the least expensive pointe shoe brands I have ever seen on the market. 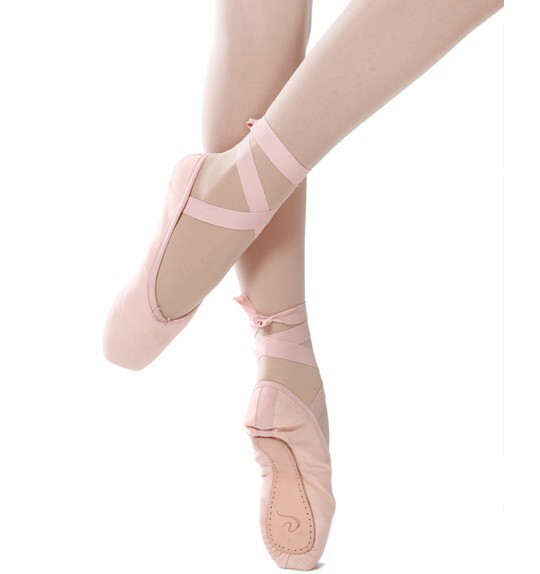 One reason why Dttrol pointe shoes are cost-effective is because the company offers reduced prices per pair for bulk orders. This arrangement works for ballet schools. There is a difference between the minimum order amount for the Canvas version sold on Dttrol.com versus the Satin model sold on Alibaba.com that is very intriguing. What do I think about these shoes? The photos show an aesthetically pleasing tapered toe box, medium vamp and flat platform constructed in a pretty shade of pink satin. 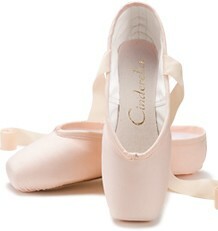 They appear to be a well-constructed and balanced shoe for students. 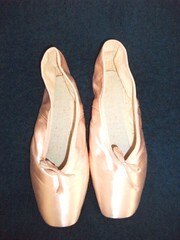 This entry was posted in Chinese Brands and tagged Chinese pointe shoe brands, Deluxe Satin Dttrol Ballet shoes, Dttrol Baili pointe shoes from China, Dttrol canvas ballet pointe shoe, Dttrol pointe shoes, pointe shoes made in China. Bookmark the permalink.